Your sculpture will typically be setup about one hour prior to your guests arriving. You will need 2 feet x 2 feet of table space to accommodate most ice sculptures. The basic shape of the ice sculpture will last 5-7 hours at 70 degrees F depending on the design.You will need to make certain that the following are at the hall; A table (clothed and skirted), and a bucket (for the drip pan to drain into). Our Disposable Drain Pans are a clear plastic, and they have a tube coming out of the backside for drainage. We will need you to provide a 5-gallon bucket or small trash can to place underneath the table to catch the water. If you provide an extra linen when our crew arrives to set up, they will be more than happy to wrap the drain pan for you. 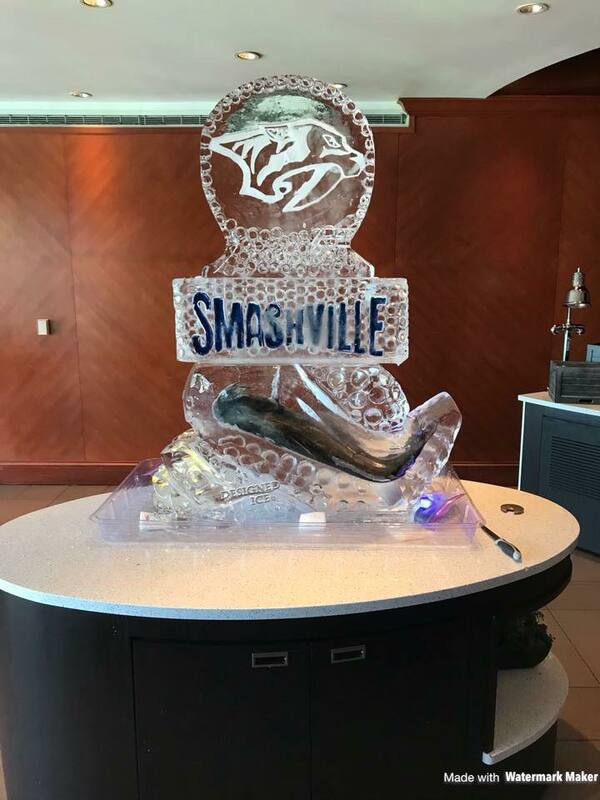 Ice Sculptures include delivery within 25 miles of Nashville. Display equipment is needed for each ice sculpture and consists of a drip pan, 5-gallon bucket and LED light. We encourage you to save these as they can be reused on future events.